How Do I Get Started in Wholesaling Under Market Value Properties? I’m a wholesaler of under market value properties in San Antonio TX, and I know that many people who want to get started in real estate investing turn to wholesaling. Many investors do so because they want to save up enough money so that they can start to invest in under market value properties themselves. There are some ways to invest in houses without much money down, but I do not prefer this type of investing. I buy all of my under market value properties in cash. Buying cash real estate is more secure, and I’m not interested in holding mortgages on investment properties. Wholesaling below market value properties means that you the investor purchase a distressed property, or get the property under contract, and then sell it, or assign the contract as fast as you can. I do this several times per month in my below market value wholesale property business in San Antonio. I find the below market value house often in an estate sale, get it under contract, and then I wholesale the under market value property to a cash investor from California. He usually fixes up the house for about $30,000, which I do for him, and then we resell it with owner financing for 12% annual return. The vital key to wholesaling successfully is finding wholesale properties below market value so that there is still money to be made for the end buyer. Note: You need to use caution when you are assigning contracts on below market value properties! Some states will consider finding either a buyer or seller as real estate agent duties. It could be considered as the act of a real estate agent when you assign the contract. 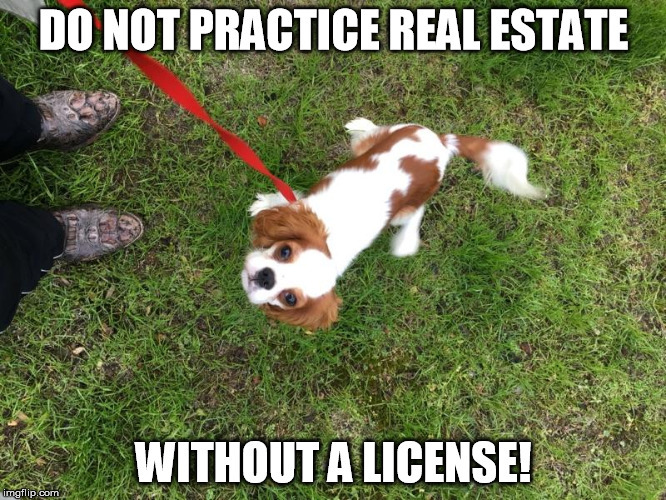 You do not want to be accused of practicing real estate without your license. Be sure you know your state laws before you engage in wholesaling activities. I’m a real estate agent in TX, so I don’t have these concerns. Getting your real estate license is a good option if you are going to be a regular under market value real estate investor. How Do I Find Wholesale Properties? The key to this whole game is to find under market value properties. Some of the ways that I find good wholesale properties are listed below. This is difficult but occasionally I will be able to wholesale a property of the MLS. Most under market value property investors are all over the MLS so it can be hard to get these properties cheap enough to make them work in a wholesale deal. One option here is to just get your real estate license so that you can make commissions off of these MLS deals. – This is where you are going to make most of your money in wholesaling. This means that the person wants to sell their house for a variety of reasons but it is not listed for sale. The owners could be sick, going through job or relationship problems but have not listed the house for sale yet. They just need the right people to find them and make an offer. Purchase from good wholesalers: You may find that finding your own wholesale properties can be really tough as there is a lot of competition. But there are some really good and experienced wholesalers out there that you can buy under market value properties from, and still make a good profit. In my case, I always have 10 or more under market value properties for sale. I have more than 15 years of experience with below market value properties, and I know a good deal that both I and the wholesale buyer can make profits from. I make sure that my wholesale buyers always are going to make a good profit of 10% or more so they come back and buy more. Direct marketing: You send postcards, letters, put up bandit signs and put up websites to attempt to get desperate sellers to call you to sell you their under market value property. Drive for dollars: You drive around neighborhoods looking for empty homes that you can get under contract below market vale. Network: You may see many ads where people claim to have off market houses for sale from the banks. Watch out as most banks are not going to sell an individual house unless they use MLS. I use a lot of networking with other wholesalers, agents and investors in San Antonio to find good under market value properties to wholesale. Go to REIA meetings: You may be able to locate other wholesalers and investors with under market value, off market properties at these events. Direct mail: Some wholesalers send out direct mailings and buy under market value properties and off market properties in this way. They will often send out letters to owners who are not living locally and also to owners who inherited the property. I am a real estate agent, and I can also list the house for sale that I cannot buy under market value. Advertise: Many below market value property investors and wholesale property investors advertise for buying houses with bandit signs and billboards. I am a wholesaler of below market value properties myself, and finding good properties that both you and the buyer can profit from is tough. But you can make some money by wholesaling properties so that you can raise money to invest in properties yourself. Every sales contract has a clause that states it may be assigned. This means that anyone can come into the deal and become the buyer without any permission from the seller. So, you the wholesaler can sell the contract to another under market value property investor and not buy the house. How Do I Find Buyers for Wholesale Properties? Once you find a good below market value property, you have to find a cash buyer. In most cases, the profit margins on wholesale property deals are slim and you cannot pay a real estate commission. You have to find cash buyers so that you can make money on these wholesale deals. You also need to be able to close fast so that you can assign that contract. REIA meetings are good ways to find cash buyers. I sometimes check recent property sales in San Antonio to see who has bought houses for cash in my area. I get letters sometimes from other wholesalers who find me because I buy houses for cash every year. Going to trustee sales, tax sales and auctions are good places to find cash buyers for your wholesale properties. No doubt, finding cash buyers for wholesale properties is challenging. I find many cash buyers for my wholesale properties in California. The good news is, when you close a successful wholesale property deal, you can make $2000 or more. If you have any questions about wholesaling below market value properties, please contact me. I have 15 years of experience doing this, and I probably can offer some helpful insights. Previous PostPrevious Which Are the Best Texas Cities to Invest in Real Estate?